The popular boobies’ bracelet is causing issues all over the United States, but after a school bans two girls from wearing the breast awareness bracelet in a Philadelphia PA school the ACLU is becoming involved in the dispute. There are hundreds of schools that have banned the boobie bracelets, but this is the first one that has the ACLU involved itself in. The school states that it is inappropriate, distracting and that some of the teachers find it offensive. The ACLU points out that the first amendment does not allow schools to censor student’s speech merely because the teachers are offended by the non-vulgar message esp. when it is educational. 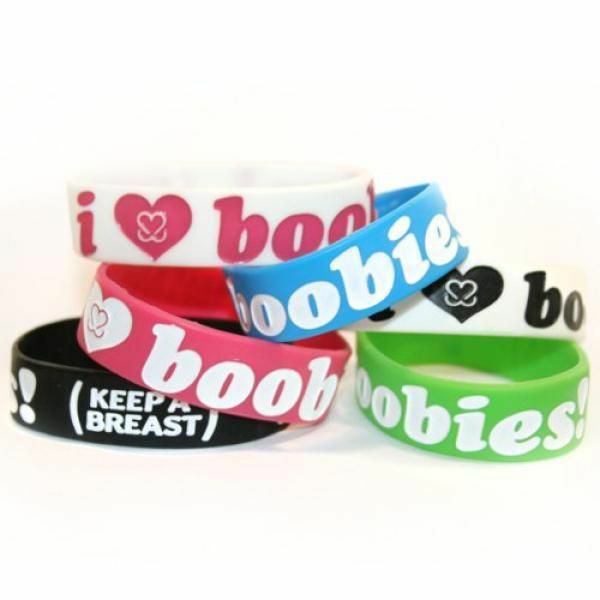 The bracelet “I love boobies” is a conversation starter and usually ends up with the conversationalists talking about breast cancer, so it raises awareness for the cause. The lawsuit was filed Monday in federal court in Philadelphia on behalf of Martinez, the mom of an eighth grader. The school had no comments after the filing and this will be an interesting case once it hits federal courts, it might even get other schools to unban the boobies. Learn Something: October is Breast Awareness Month and it is ironic that the girls got into trouble over this on the same day that the school celebrated breast cancer awareness. Only an american would be "offended" by such a thing.